25-28 februari 2019 the free online “Prenatal Infection Prevention Symposium” is held. My (English spoken) presentation is still available after registration. More information at the PIPS website. When your child is born prematurely, sometimes spontaneously, sometimes because there are major abnormalities and you want to spare them from a difficult life, you have to say goodbye. Bid farewell to the dreams that you had about your life with this child. In order to say goodbye properly it helps to see the baby. In the past, very prematurely deceased children were laid in a blanket, basket or container following the birth. Their skin then changes colour and darkens. Because the skin and bones have not yet firmed up, the child becomes distorted. The water method offers a solution to this. The child has lived his entire life in the water. It is the best environment for his fragile skin. The skin lightens even if the child had already discoloured and was darker at birth. The method is easy, all you need is a container with a lid, and of course water! If you’d like to see pictures of babies who have been placed in water following birth, then go to the  photo page. Should you have questions, go to the frequently asked questions page. If your question is not listed here then please  contact  me. Follow us on Facebook using the button underneath. 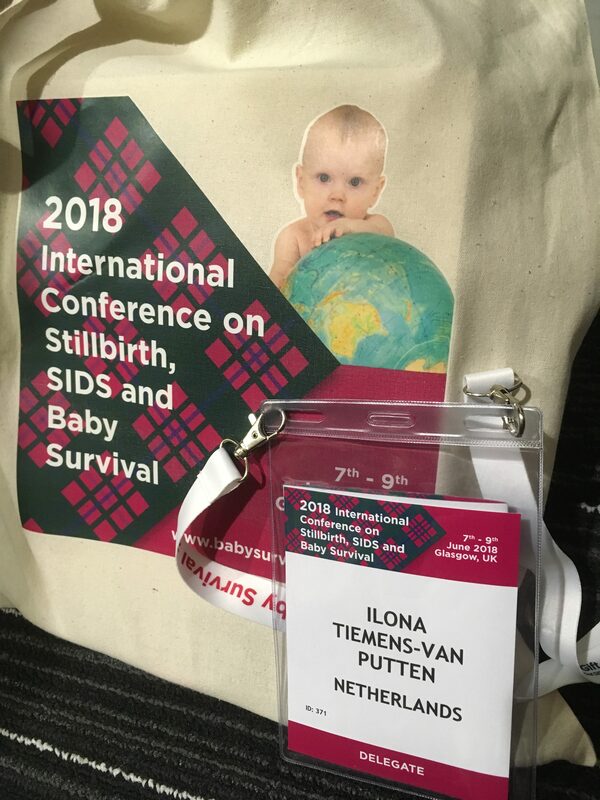 Last June I held a lecture about the watermethod on the International Conference on Stillbirth, SIDS and Baby Survival in Glasgow. Hopefully more professionals will know about this new option and implement it in their hospitals.